Megabus has has stops in Charlotte and in Durham, North Carolina. This makes it much more affordable to visit Washington, D.C. and other areas of the country. 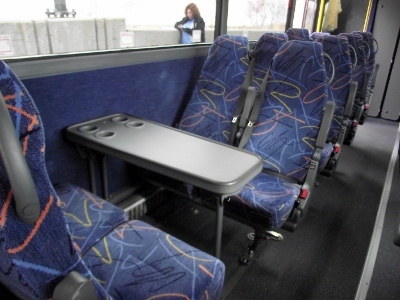 In addition to the famous free Wi-Fi the bus offers, electric outlets, comfortable seats and a bathroom. Families and individuals can take advantage of this budget bus service. Middle aged women and students find Megabus to be a convenient way to travel. People who have a disability or travel with a service animal may also enjoy this type of travel. This is the 150th anniversary of the Civil War. History buffs may find this attraction to be an interesting way to spend an afternoon. It was here that Confederate troops from four states surrendered to Union forces. This was to be the largest surrender by troops during the Civil War. The wetland habitat, butterfly house and Apollo Capsule are favorites. Exhibits are indoors and outside. Coolers are not necessary since a cafe is on the grounds. No one hopes to need legal services while on vacation but it never hurts to have the information. Read more to get the information you need before you need it. Another tourism opportunity is Duke University near the center of town. Visitors may want to check the university schedule for student concerts or plays at www.duke.edu. University programs give the students the opportunity to hone skills. The performances are often less expensive than other venues in the area. Students perform as part of their coursework and visitors can be assured of high quality productions. The Megabus stop is at across the street from the Durham Station Transportation Center. From here, the Durham Area Transit Authority (DATA) can whisk you away to many parts of the city. Additional information on things to see and do is available online at www.durham-nc.com.